Ever since Grace was attacked by wolves when she was young, she’s been obsessed with them. Then a classmate gets mauled, and the wolves come under attack by their town, and Grace discovers that these wolves might not be just normal wolves. Yes, this is a werewolf story. I’m going to review this in parts. Comparison: I can’t not compare this book with others by Stiefvater. It would be unfair for me to give my opinion without qualifying it by saying that my first experience with her was the wonderful Raven Cycle. I’ve adored that series – character, plot, writing, everything. When I went into The Scorpio Races, while it was well-written, it didn’t engage me, and I gave it up halfway through. So I went into this one with some foreboding, especially as I heard from other people that it wasn’t necessarily the best of her books. My conclusion? The writing is younger and less mature than the others I’ve experienced, but the story was more engaging for me than Scorpio (less so than Raven), and I did want to finish the book. And did so, very quickly. And will probably move on to the sequels. Story: Again, the first part of this book was a bit too one-sided for my preferences, though this may have to do with me being well over the intended age audience of Shiver. I freely admit that. On the other hand, I did find the plot engaging, and once we got past the romance and into the inter-workings of pack life, disease, possible cures, poetry, telepathic communication, psychological scars, etc, the book really picked up. I was so much more interested once the story became many-layered, and I’m hopeful about the sequels. I say that with the caveat that I’ve read nothing about the sequels, so I don’t actually know what direction they’re going re: romance, as mentioned above. Conclusion: This was a mixed experience, though I think ultimately positive. The series – provided I finish it – will likely not replace the Raven Cycle as a favorite, but I do think it will be enjoyable (or at least hope so). Also, it was far better than I was expecting going in. This entry was posted in 2015, Prose, Young Adult and tagged speculative. Bookmark the permalink. I tried to listen to this one a couple of years back and just couldn’t get into it. Maybe eventually I will try it again…or I’ll just go for the Raven Cycle instead! Definitely go for the Raven Cycle! I quite enjoyed the first two books of this series when I listened to them a few years ago, but I’ve never quite felt the need to read the third. The Scorpio Races though, I just finished the audiobook of that on a week or so back and was totally enraptured by it! I also got the first part of The Raven a Cycle as part of a humblebundle a few months back, I really should give it a go and see what the fuss is about! I don’t know what it is about Scorpio. Maybe it was just the timing. I haven’t fully dismissed it. Maybe I wasn’t ready yet! 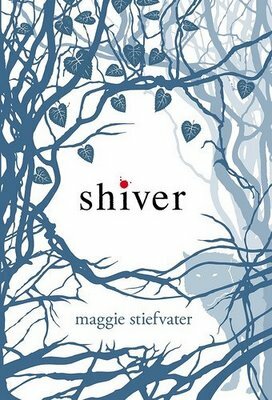 Your review is super interesting to me since this is the only series I have read from Maggie Stiefvater. I remember enjoying it, but it was so long ago! I remember thinking the romance was a bit much. Knowing how much you loved the Raven series though makes me all the more intrigued to read those! I do have the first one on my shelf… hmmm.